Sarah Ruth Horst obituary. Carnes Funeral Home. 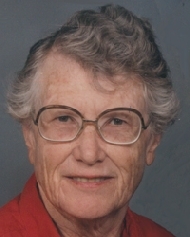 Sarah Ruth Horst, 91, of Friendswood, Texas, passed away on 1-29-2019. She was born to parents Horace and Iva Pinney, on 11-28-1927 in Bosworth, Missouri. Sarah worked as a 5th Grade Teacher for 30 plus years. After 30 plus years of service, she retired from Lindberg School District in St. Louis County, Missouri in 1984. She enjoyed Reading, Traveling, Sewing, Gardening and Bridge. She believed in the value and power of education. She valued learning. Sarah is survived by John Edwin Horst Jr, son, Shirley Meyer, daughter, Randy Meyer, son-in-law, grandchildren Matthew Webb, Dane Horst and Sarah Meyer, as well as great grandchild, Michael Webb..
She was preceded in death by John Horst, Husband, Parents Horace and Iva Pinney and three siblings, Doris, Harold and Marianne plus one Grandchild Michael Meyer. A Memorial Service is scheduled for February 7, 2019, 11:00 AM at Friendswood United Methodist Church, 110 N Friendswood Dr, Friendswood, TX 77546.